The privacy of our story contributors is something we take very seriously at Etiquette Hell LLC. We do not, and have never, sold or disseminated (except in cases where required to by law by law enforcement agencies) the personal information of our contributors to any parties outside of Etiquette Hell LLC. We do not release contact information of our story contributors to the media unless first granted that permission by the information holder. All of Etiquette Hell LLC’s development is done in-house, and hence no contracted parties will ever have access to individual contributor information. The privacy of our visitors to Etiquettehell.com and Weddinghellsbells.com is important to us. At Etiquette Hell LLC, we recognize that privacy of your personal information is important. Here is information on what types of personal information we receive and collect when you use visit Etiquettehell.com or Weddinghellsbells.com, and how we safeguard your information. We never sell your personal information to third parties. We also use third party advertisements on Etiquettehell.com and WeddingHellsbells.com to support our site. Some of these advertisers may use technology such as cookies and web beacons when they advertise on our sites, which will also send these advertisers (such as Google through the Google AdSense program) information including your IP address, your ISP , the browser you used to visit our site, and in some cases, whether you have Flash installed. This is generally used for geotargeting purposes (showing New York real estate ads to someone in New York, for example) or showing certain ads based on specific sites visited (such as showing cooking ads to someone who frequents cooking sites). By submitting content to Etiquettehell.com and Weddinghellsbells.com , you automatically grant, or warrant that the owner of such content has expressly granted, Jeanne Hamilton the royalty-free, perpetual, irrevocable, non-exclusive and fully sublicensable right and license to use, reproduce, modify, adapt,publish, translate, create derivative works from, distribute, perform and display such Content (in whole or part) worldwide and/or to incorporate it in other works in any form, media, or technology now known or later developed. Essentially, this is legalese allowing Etiquette Hell LLC’s owner, Jeanne , to correct typos/spelling, protect copyright of the web site under one legal entity, to release edited (no names) stories to print news media and to cover her backside in case you used your story to libel someone else or stole someone’s copyrighted material as your own. There are no plans for any future books based on Etiquettehell.com or Weddinghellsbells.com. Members who post to the Ehell and/or Hell’s Bells forums retain their copyright but grant a non-exclusive license implied by context to others to forward any message posted within EtiquetteHell.com and Weddinghellsbells.com’s forums. They also grant the forum owner permission to maintain an archive or approve the archiving of forum messages. Content submitted to the forum is not deemed to be granted material for the blog or any other publication. What happens on the forum, stays on the forum. Note that it is very important to provide Etiquette Hell LLC with a full list of all infringing material when filing a DMCA Notification. If the list is ambiguous or overly broad, we may not be able to accept the DMCA Notification. DMCA ABUSE AND MISUSE: Occasionally, someone will attempt to blatantly misuse the DMCA process in order to remove content from EtiquetteHell.com or Weddinghellsbells.com. Usually when this occurs, it is done to censor content they find offensive or that is critical of them. Other times, it’s simply a matter of a DMCA Notification being overly broad or ambiguous. If you haven’t bothered to register your works with the US Copyright Office, you have no legal case and a DMCA Notification is abusive. 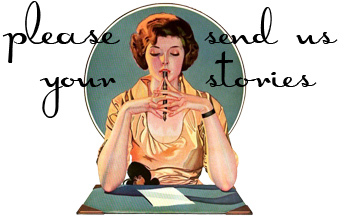 Etiquette Hell LLC is not in a position to judge the merits of what our story contributors state in their submitted stories or posts which are then published to the EtiquetteHell.com or Weddinghellsbells.com web sites. As such, we do not censor or otherwise assert editorial control over the content of submitted stories and posts in the forum other than to remove proper names. We are unable to judge the veracity of submitted stories and posts nor is Etiquette Hell LLC actually engaging in that speech. The Communications Decency Act specifically grants legal immunity to oneline service providers for the content of their subscribers/members’ posts and submissions. For this reason, we ask that you address your concerns about libelous material directly with the creator of the content.